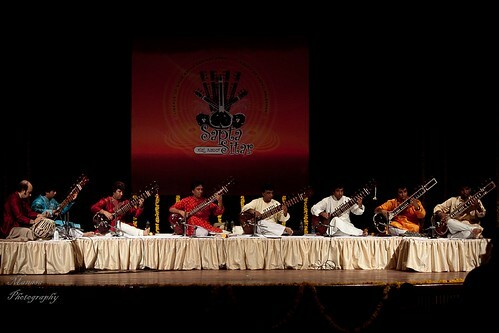 Ustad Bale Khan Memorial Trust and Antara Arts organised mesmerizing Sapta Sitar On Sunday, Feb 13th at JSS Auditorium. Musicians playing Sitar are from the Khan family. Sitar was introduced to South India by the Khan family. The photo clicked above got published in Deccan Herald. Though, no photo credit was mentioned. Sigh! Musical heaven it must hv been!